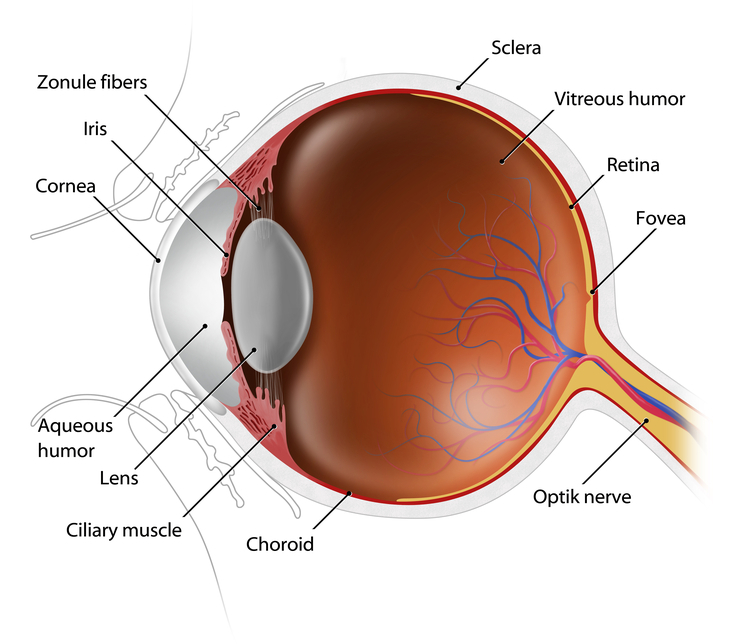 The cornea is the outermost layer of the eye. It is the clear dome-shaped window, in the front of the eye, that is responsible for the majority of the focusing power of the eye. If the cornea is not clear or is abnormal in any way, your vision will be affected. Some of the causes of abnormal vision that are attributed to cornea diseases are dry eyes, scars (from trauma, prior contact lens-related infections, or surgery), keratoconus, Fuchs’ dystrophy, infections, corneal ulcers and pterygia. The most common cornea disease is dry eyes. The cornea is dependent on tears to obtain the nutrients that it needs to keep it healthy. Some of the symptoms that occur if the eye is dry and not adequately lubricated are blurry vision, scratchy or sandy sensation, redness, stickiness and/or tearing. Blurry vision can be a sign of a much more serious disease or disorder. If your eyesight has become blurred you may suffer from a common problem such as nearsightedness or may simply be experiencing the normal aging process of the eyes. However, you may have a condition that requires more advanced treatment. No matter what the cause of your blurred vision, the expert staff at Newsom Eye is here to help. Refractive eye surgery was created to help you improve the natural visual properties of the eye, thereby helping you reduce or eliminate the need for glasses and contact lenses. LASIK is the most common form of refractive eye surgery, utilizing an excimer laser to reshape the curvature of the cornea. This technology has been effective in the treatment of myopia, hyperopia, and astigmatism. The Newsom Eye Cornea specialists will carefully diagnose and review all available treatment options with you during your free consultation. The first step, as always, is to contact Newsom Eye for a comprehensive consultation. Our Cornea Specialist can easily diagnose corneal diseases during a routine eye examination. Some diseases are time sensitive, so the earlier the treatment is started the better the possibility that the vision is saved. Some diseases, such as dry eyes, may need prescription medications or more advanced in-office options may be necessary. For others, such as contact lens-related corneal scars or pterygia, surgery may be the only treatment option.